The Seagle Building is located in downtown Gainesville, FL, on University Avenue, just eight blocks from the University of Florida. Being the tallest building in Gainesville it is easy to find (click here for a map). 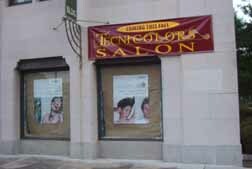 Tecnicolors Salon is located in the SE corner of the building. Tecnicolors Salon offers Profound products & AVEDA products and will have you looking and feeling beautiful. For more information, phone (352) 376-2012. Tecnicolors Salon is right on University Avenue and there is plenty of parking. The Seagle Building is included in the Department of Interior's National Register of Historic Places. 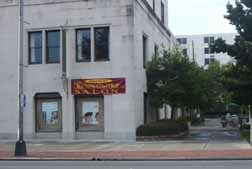 With its great downtown location, the Seagle Building is within easy walking distance of restaurants and banks. There are public transportation stops at the front and rear of the building. Employees, clients and guests will always find a spot in one of our parking lots. 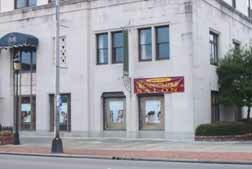 For commercial tenants, the Seagle Building pays utilities and property taxes. The Seagle Building offers a daily on-site maintenance person, on-site property manager, five nights per week janitorial service, video surveillance and security system. We hope you enjoy our website and find the information you desire. Please do not hesitate to contact us with any questions or suggestions. A limited amount of commercial space is available immediately.